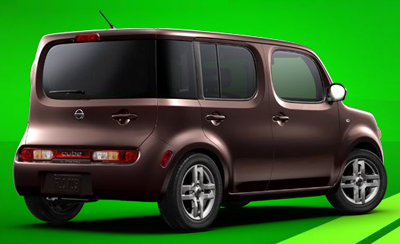 Aprille told me to go and check out the new Nissan Cube, that it was really cool. Boy, was she right! I love funky looking cars and this wrap around rear window blows me away. 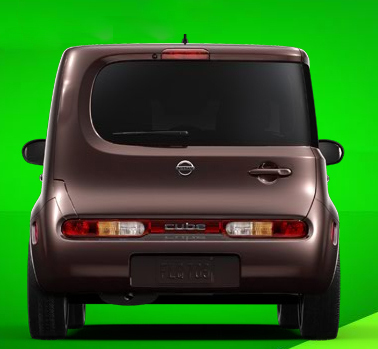 The website for the Nissan Cube is cool and I love all the special features and details that are built into the car. 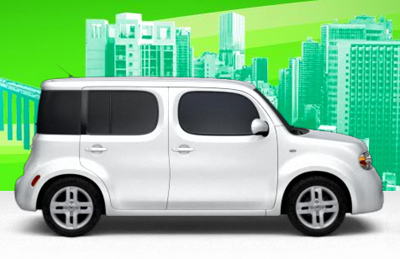 Like the ripple design that is repeated in the speakers, rear window panel and cup holders. Aprille also told me about the 3D brochure. 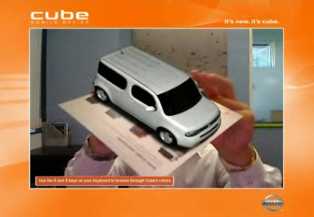 I thought maybe it was a pop up card or something but the video makes it look like viewing the card through your computer camera makes it 3D. I requested one and I can't wait to see what it is. the brochure is probably built on the same engine as this, which is equally neat and kind of trippy. and you can mess with it while you wait for your brochure! The Cube is really sweet. If my college bound daughter doesn't want one, I'll buy it and not let her use it. Then, of course, she'll insist upon driving it. this is SO my next car.